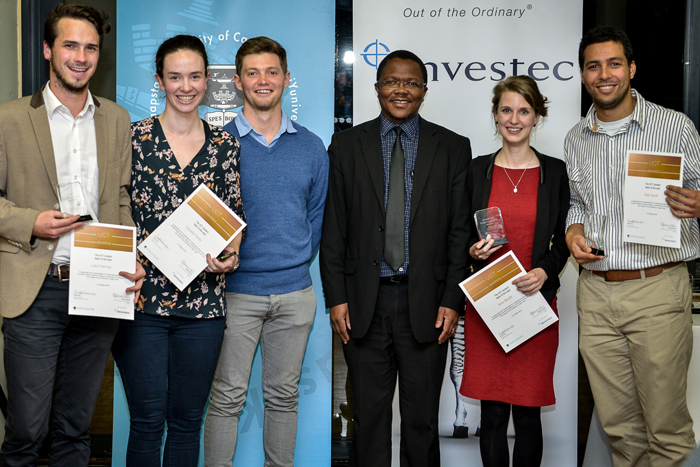 The UCT surgical society committee of 2014-2015 excelled at the leadership awards as a team as well as on an individual level. The committee won its third consecutive Most Outstanding committee award in a row for maintaining its high standard of surgical services, introducing new innovative workshops & representing UCT at the international association of student surgical societies at the annual symposium held in Sydney Australia. The committee was also awarded the team of the year award for maintaining and promoting UCT's vision, mission, and values throughout their projects. The projects that contributed to this were the women in surgery programme, health aid for refugees project and launching a farm worker's clinic in Cederberg. On an individual level, Danielle Ferrar (2015 president of the UCT surgical society & IASSS) won the Kerry Capstick-Dale leadership award for charging the committee that was able to carry out various successfully projects under her supervision and guidance. Furthermore, her dedication and commitment to her academics, IASSS & other societies such as SHAWCO exemplify her leadership qualities for this award. Lastly, Amy Booth (Outreach 2015) was the main spearhead in the initiation of the farmer's clinic at Cederberg wine farms that was immensely successful in developing a long-term relationship between the society and the farm. If that was not already enough, her refugee project won the Student Projects for Health Competition, and as a consequence, she was invited to attend the Bambanani Education for Change Conference where she showcased UCT internationally. Her commitment to other activities such as SHAWCO, project flamingo, and Rochester House Residence Management team qualified her impressive leadership potential.